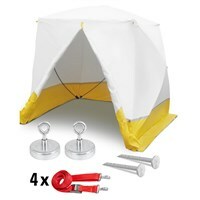 Flat roof tent with cubic ground area and a variety of practical extras. 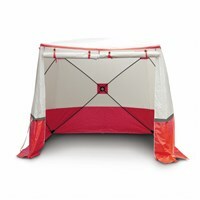 Small, handy und and easy to put up - all in a matter of seconds. 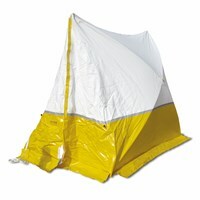 Virtually indestructible work tent built to stand up to the roughest and toughest of conditions. The E stands for Extras – like the additional utility openings and the sturdy, heavy-duty zips. 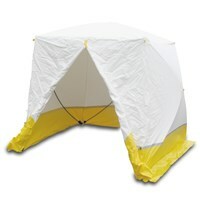 Flat roof-railway works tent with square surface provides protection against rain, wind and cold! Oodles of room and up in a matter of seconds. 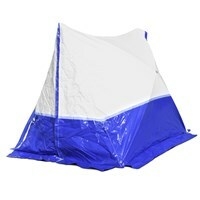 Gives you bags of room to work in while taking up hardly any room during storage and transport. How can something so small be so big? The answer - a well-thought through design. 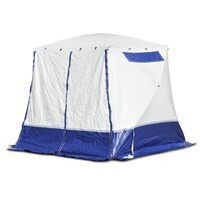 This tent provides you with 250 x 250 cm of premium protection for a variety of different tasks. Luxurious space and a selection of luxurious extras. Distinctly coloured tent (red) with reflective stripes. Ideal for emergency and rescue services. Even more robust due to aluminium fixing plates. 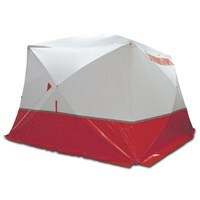 Spacious tent for a wide variety of applications in the special color red. Protection for wind and weather: In our tents you can rely on.Whether as assembly tent, construction tent, or work tent - our extensive range provides the right model for every need. 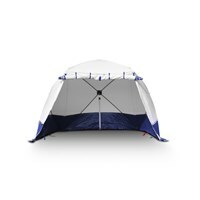 And one thing all our tents in common: the Trotec proven quality and unique design that enables instant setup.